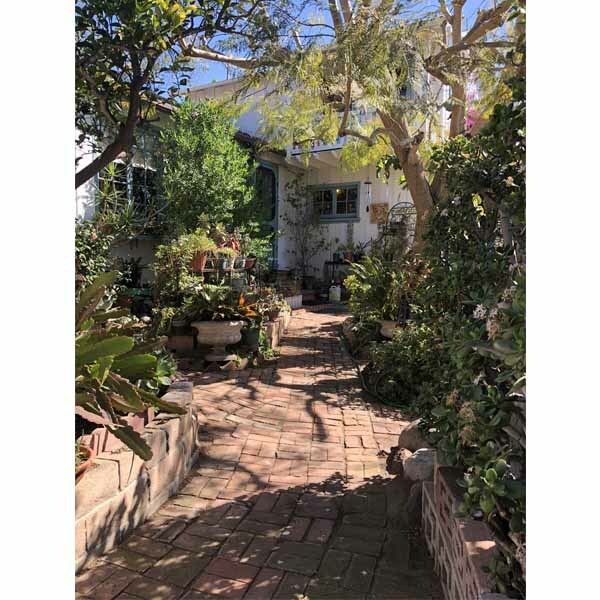 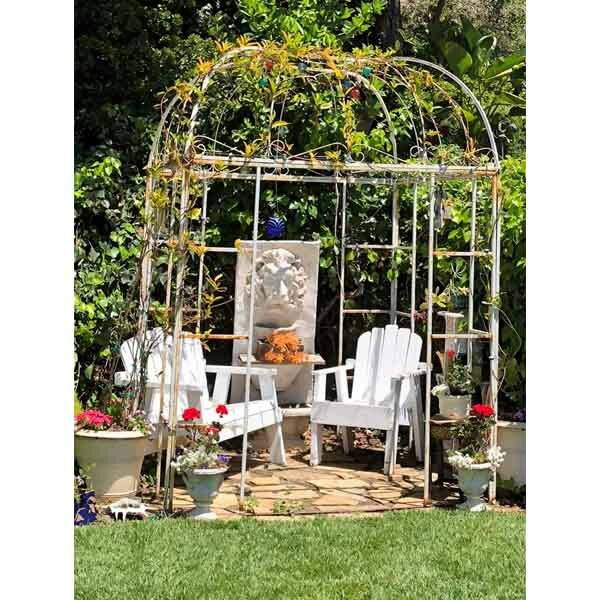 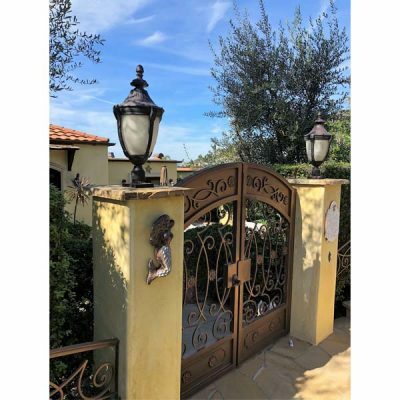 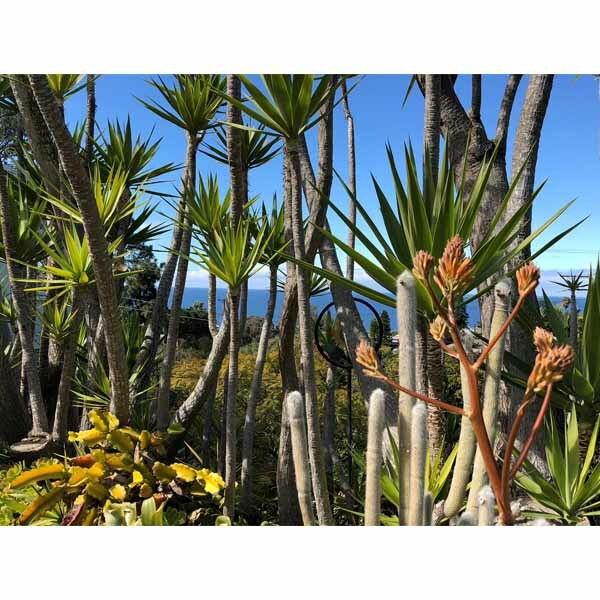 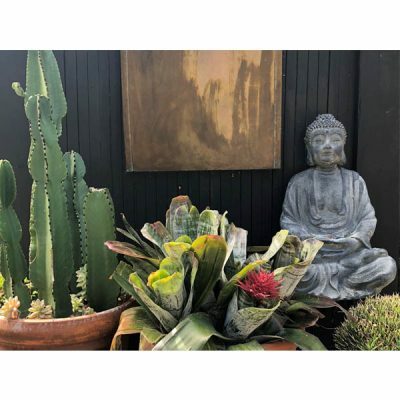 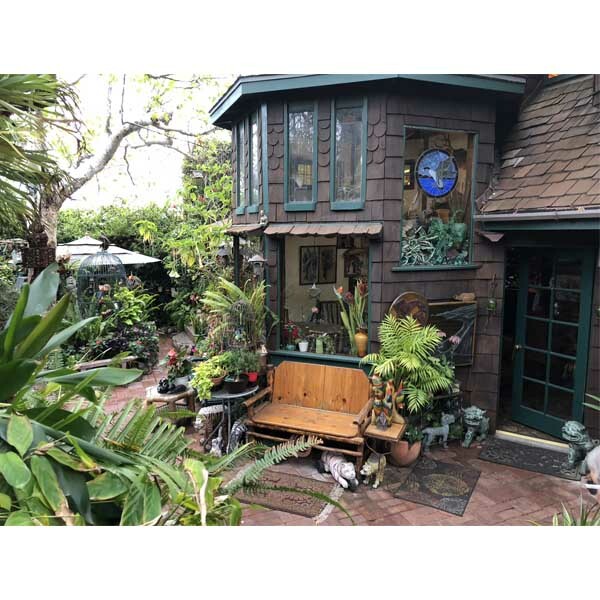 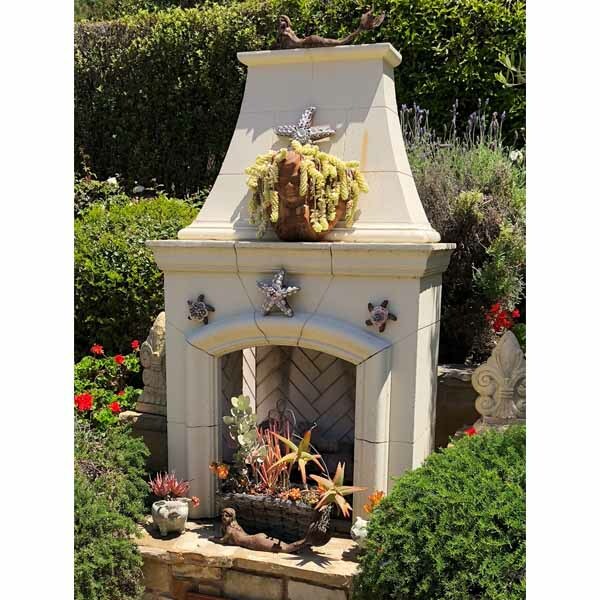 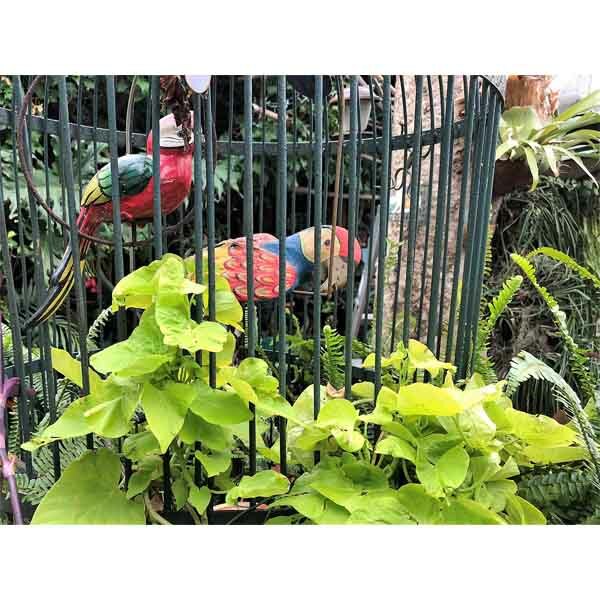 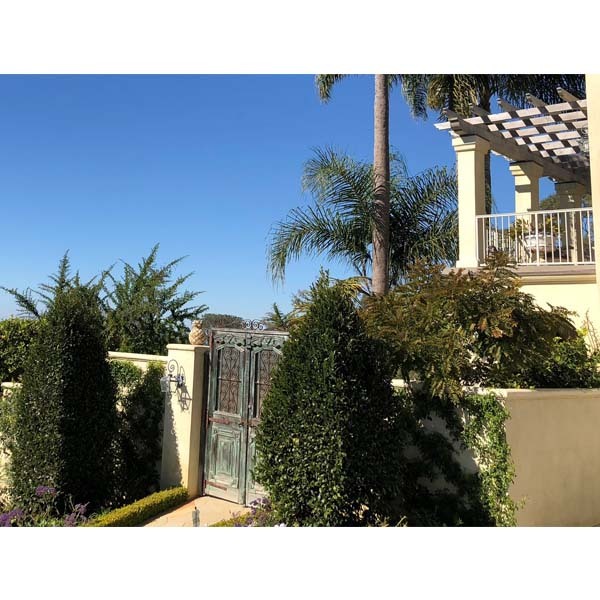 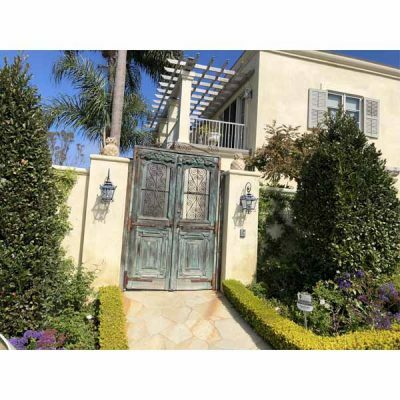 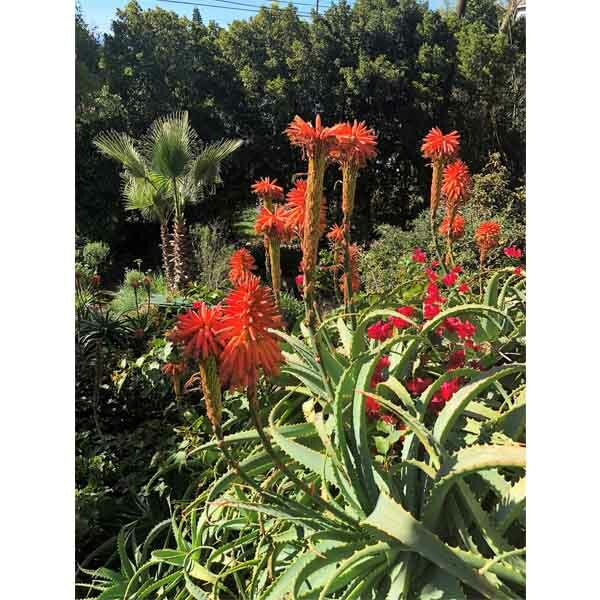 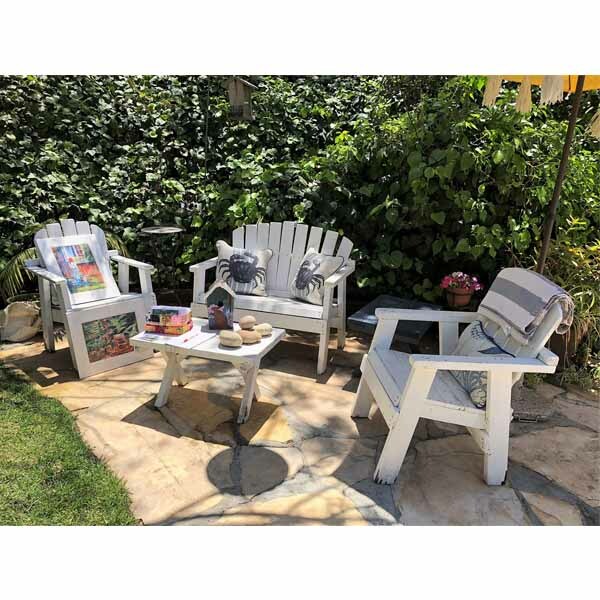 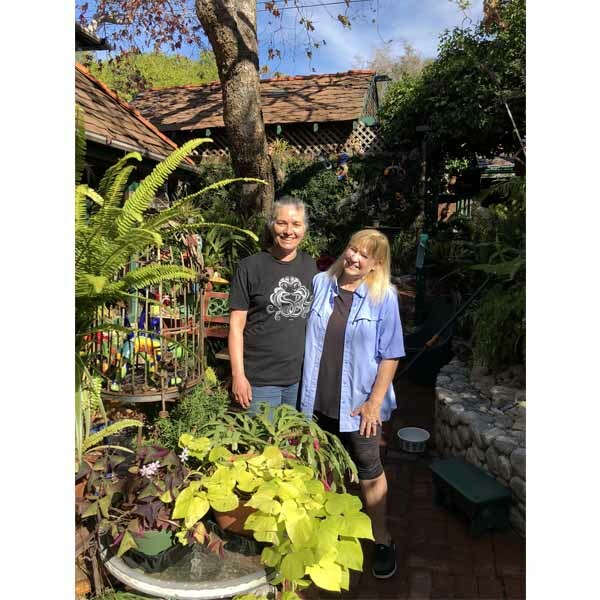 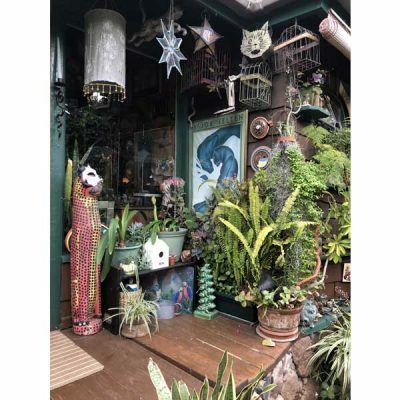 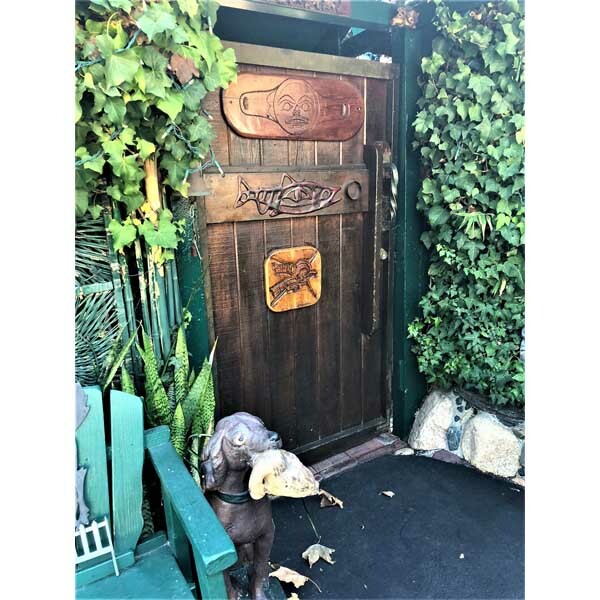 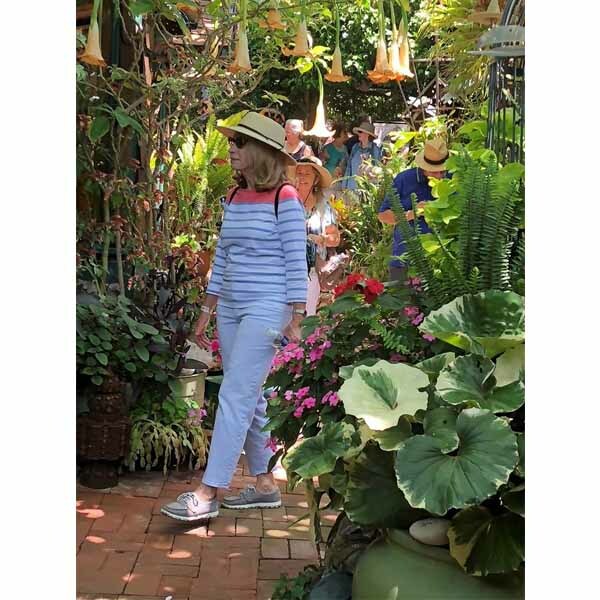 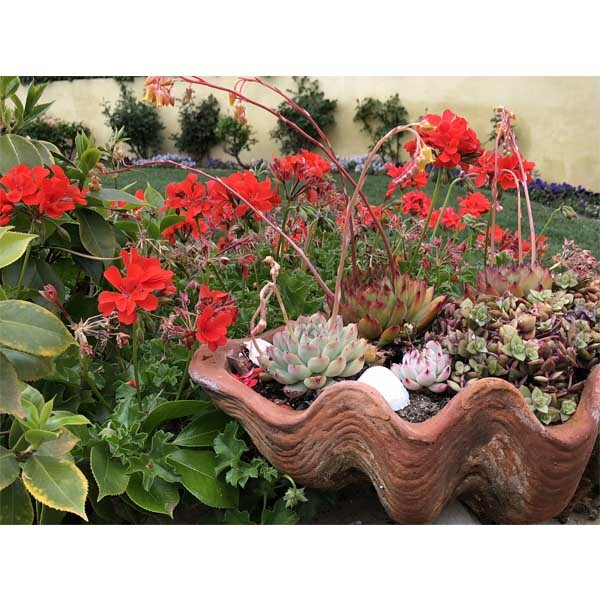 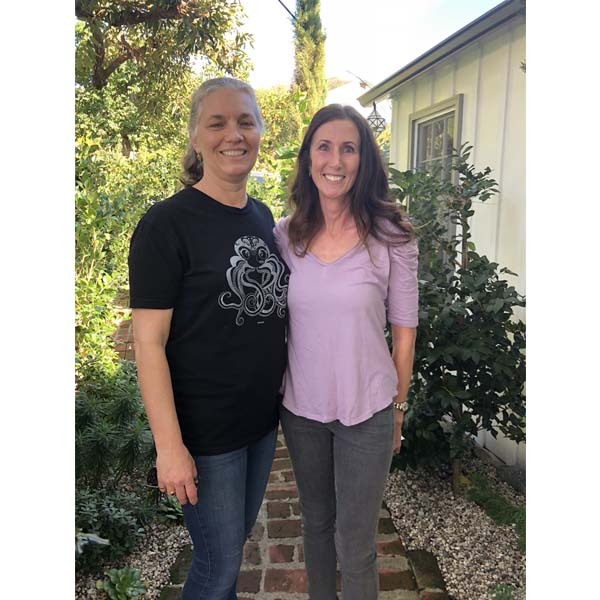 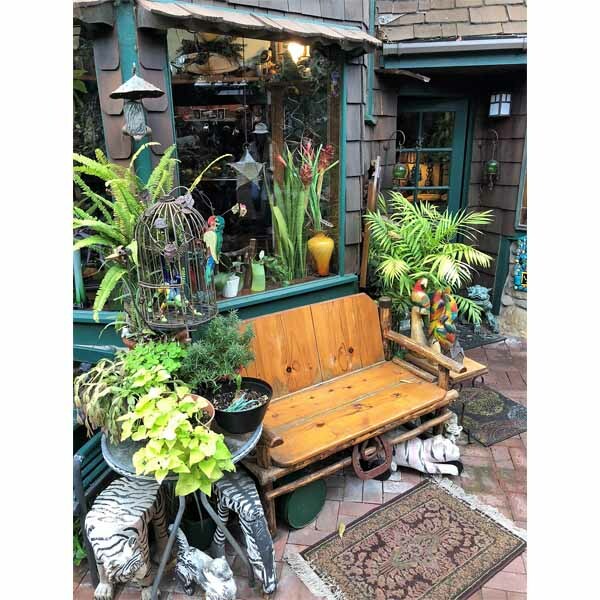 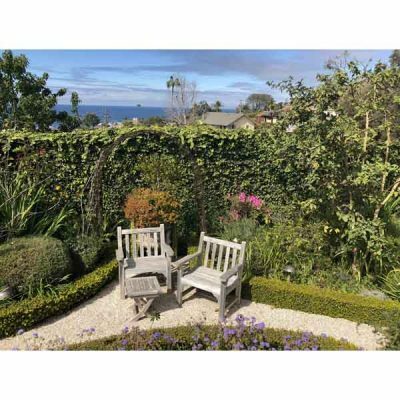 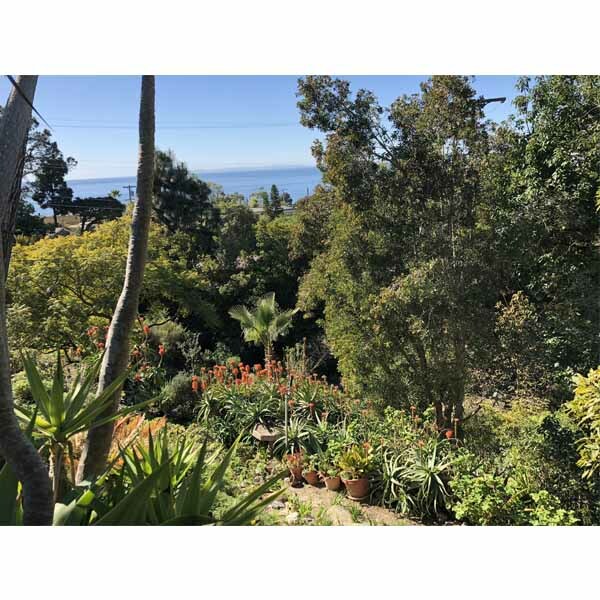 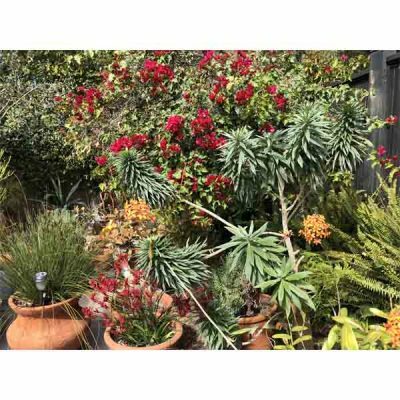 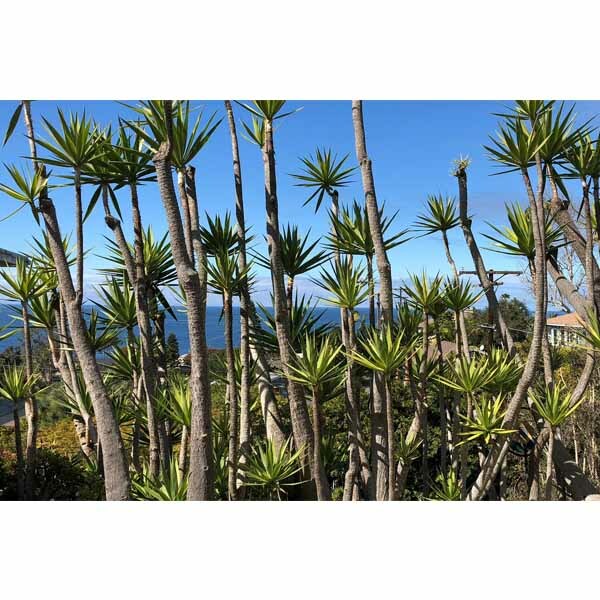 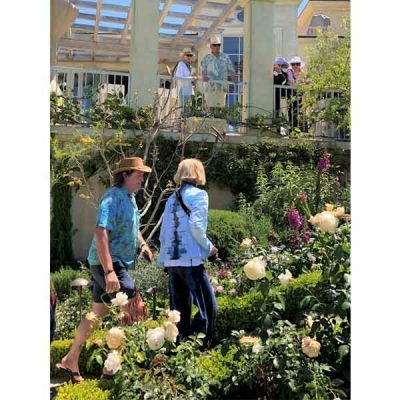 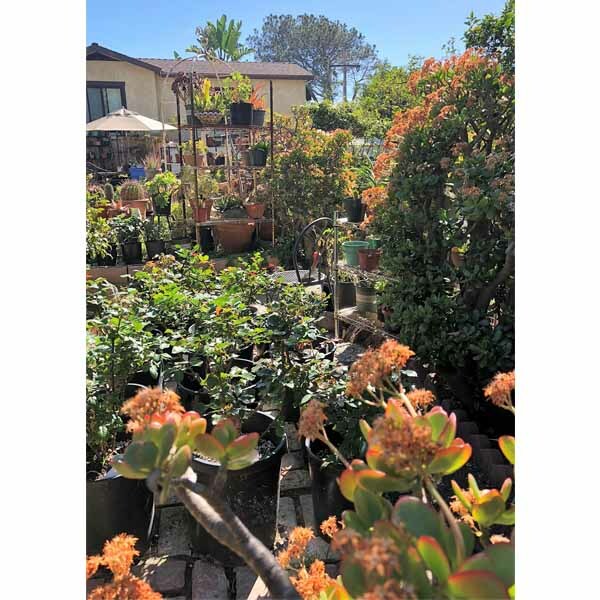 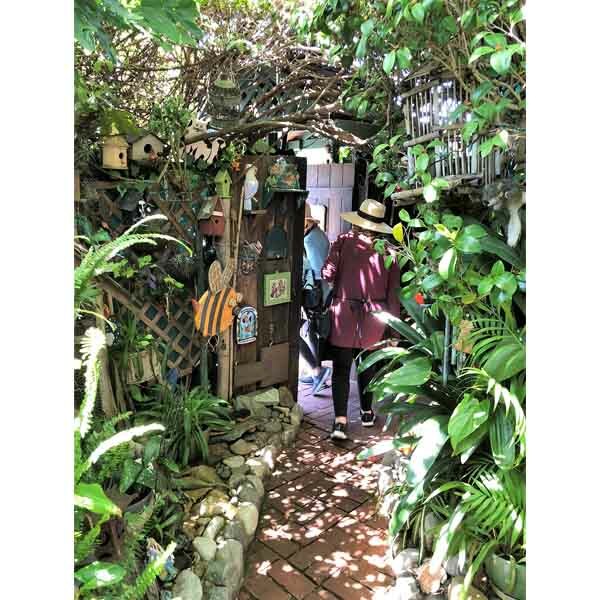 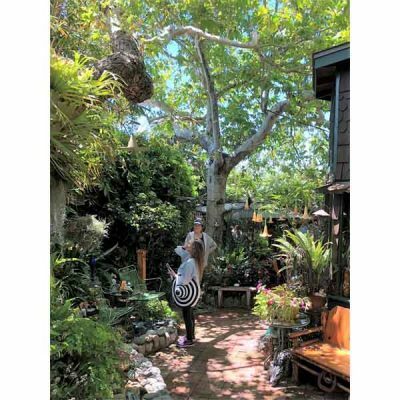 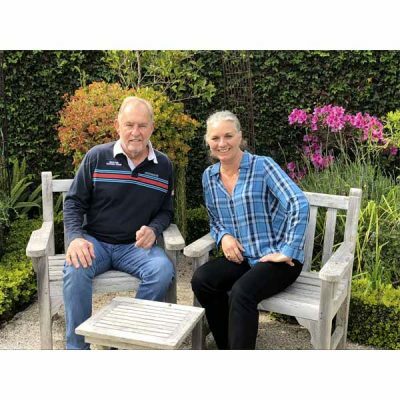 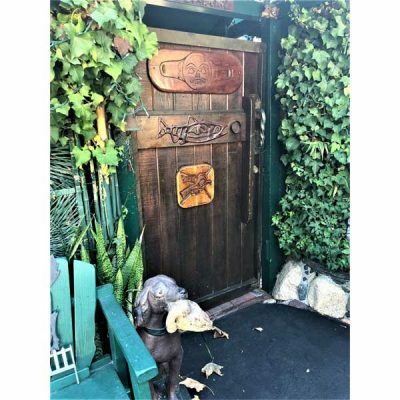 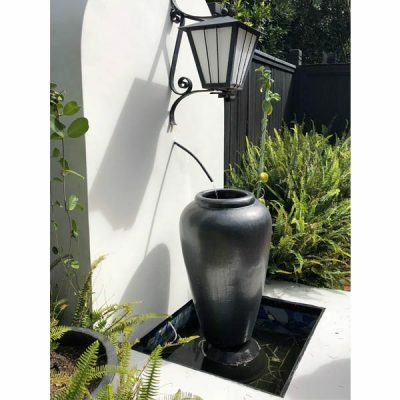 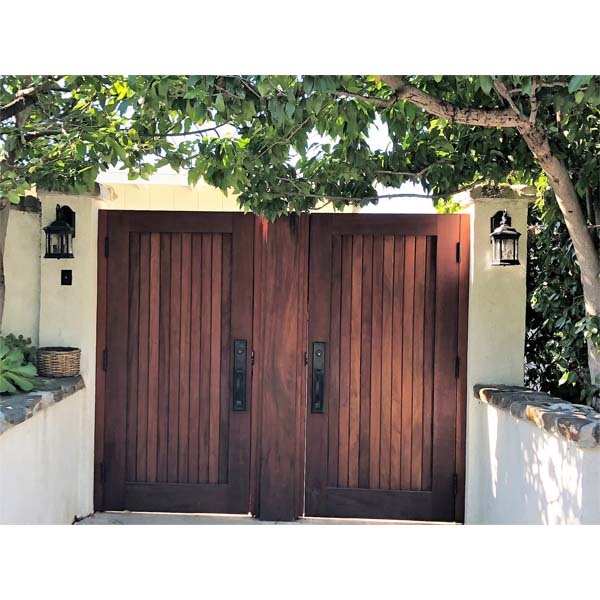 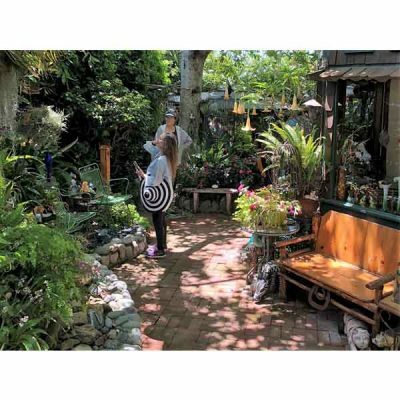 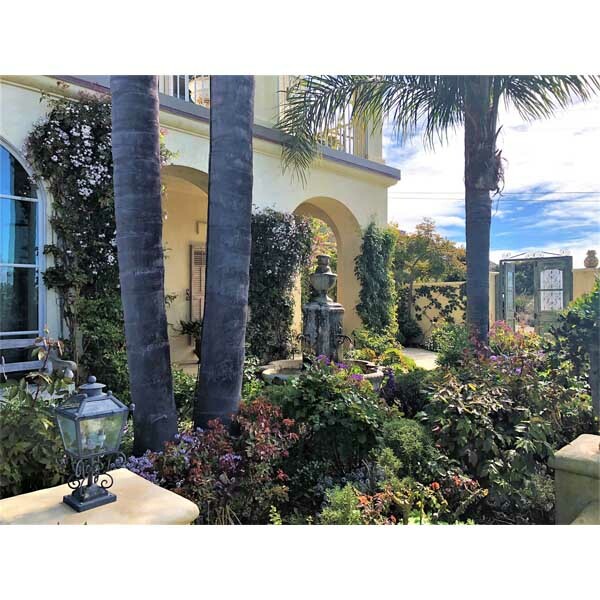 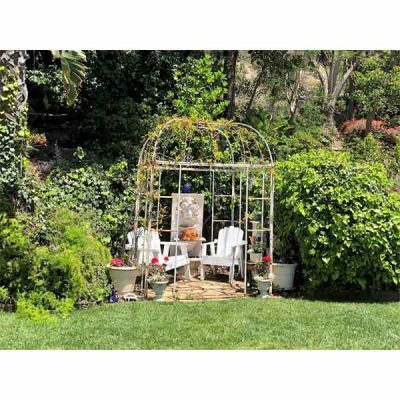 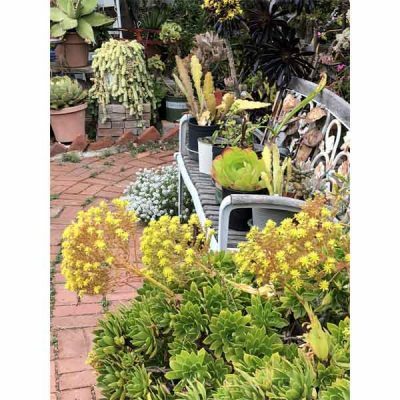 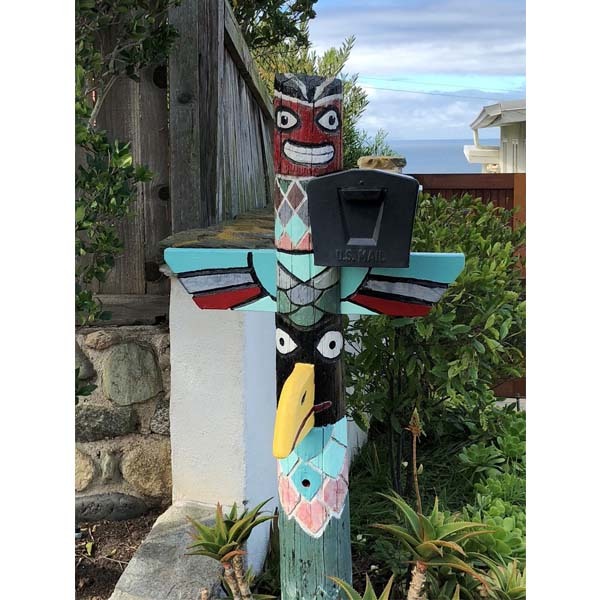 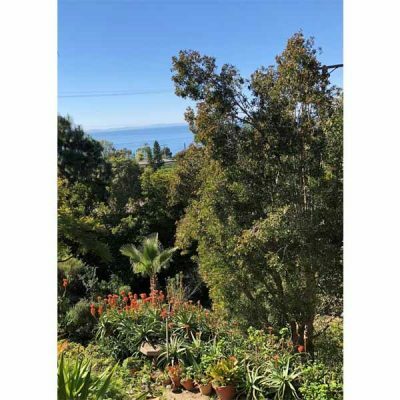 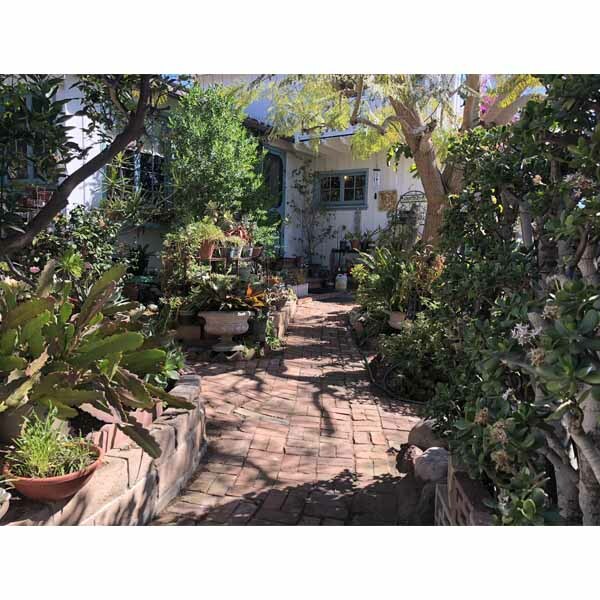 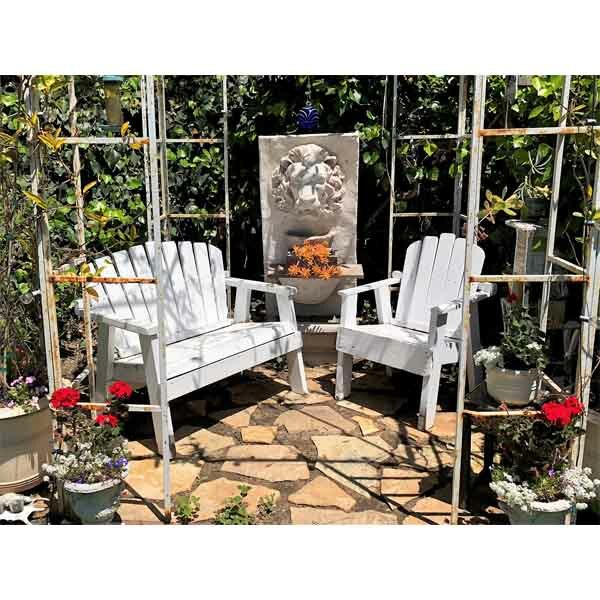 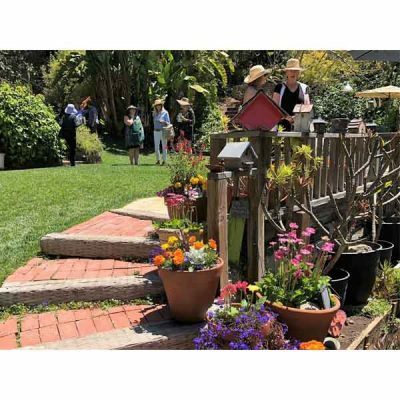 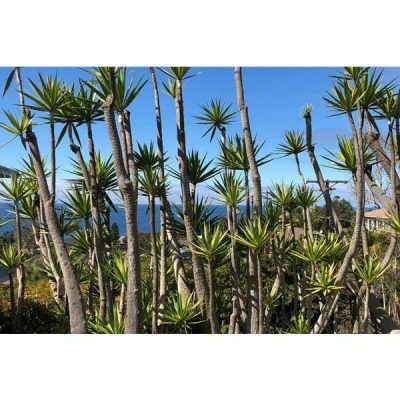 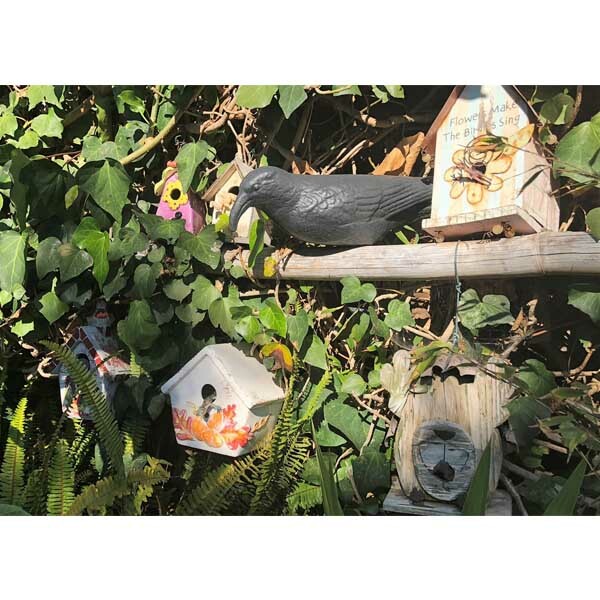 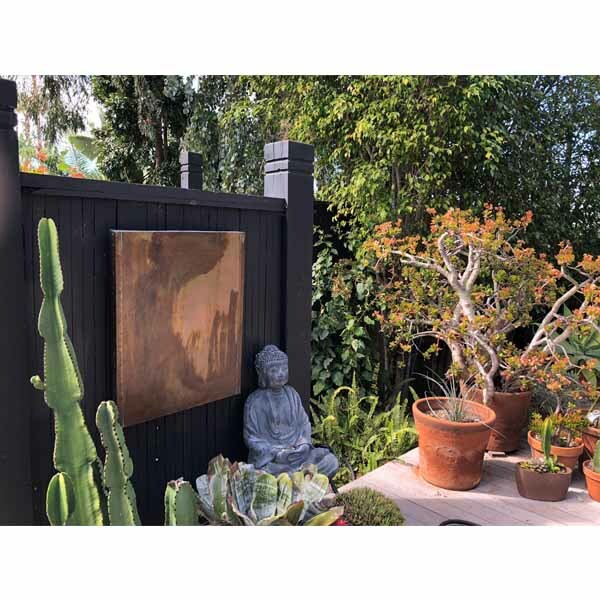 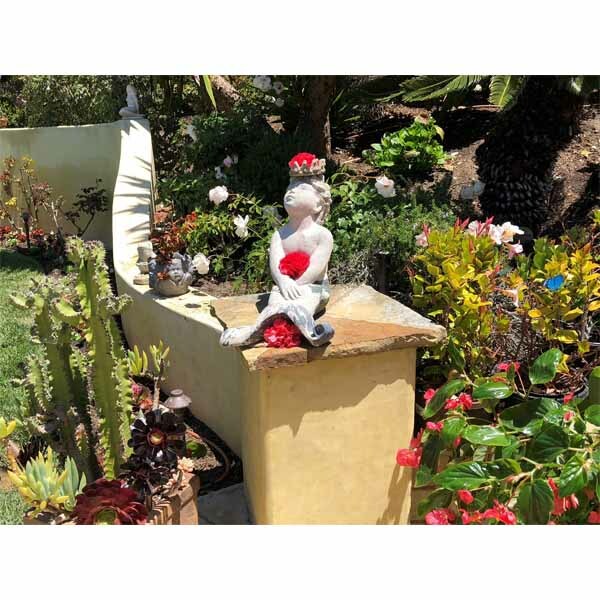 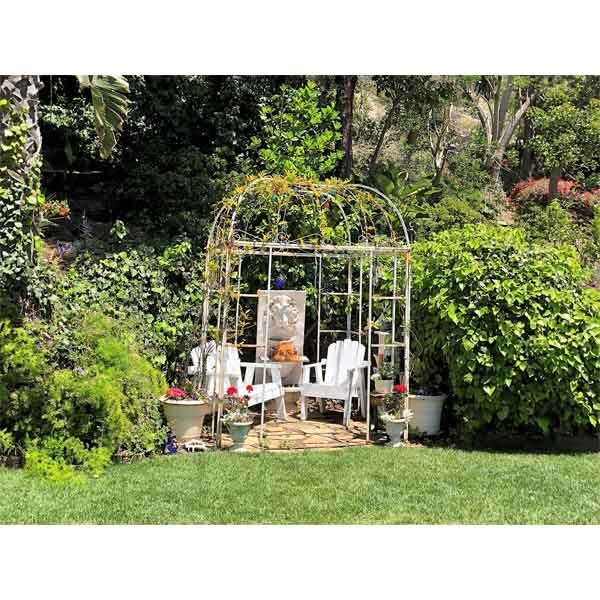 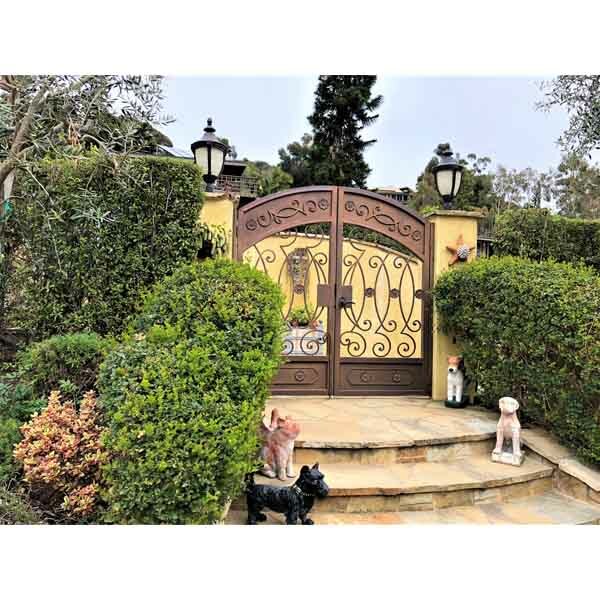 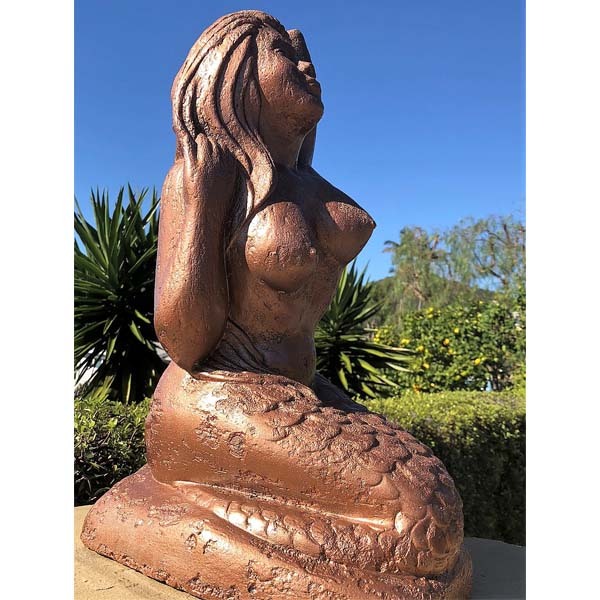 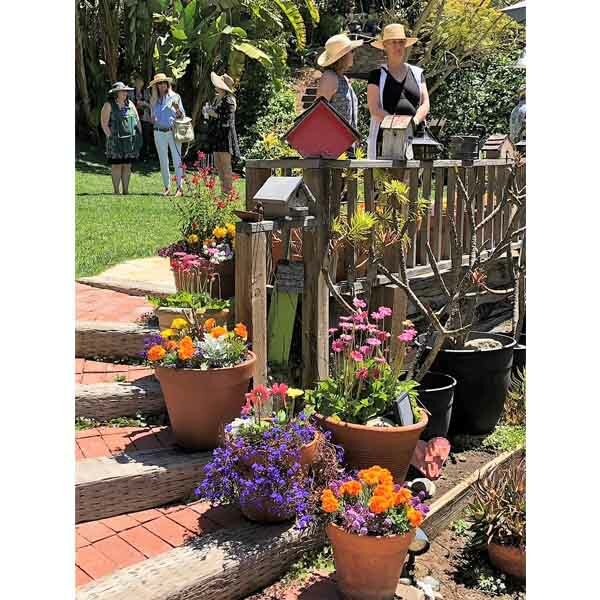 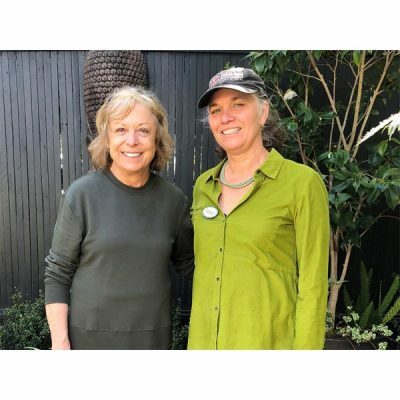 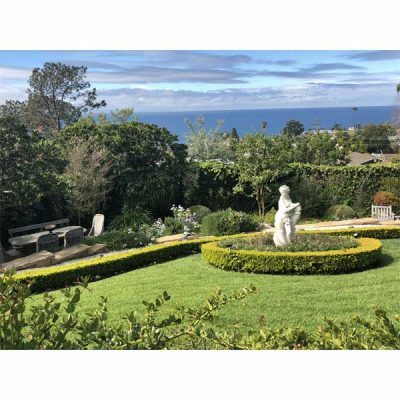 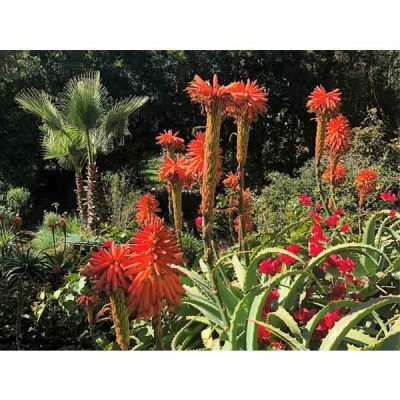 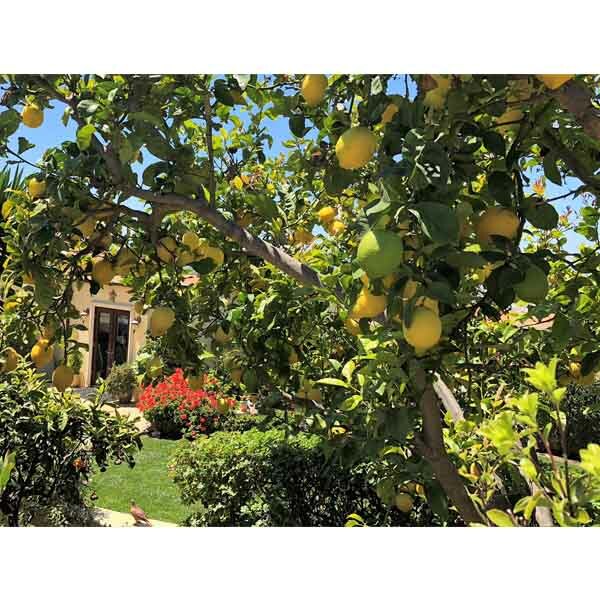 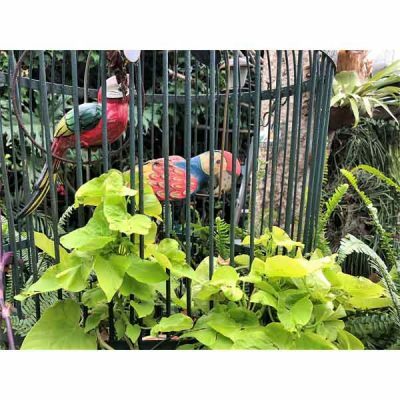 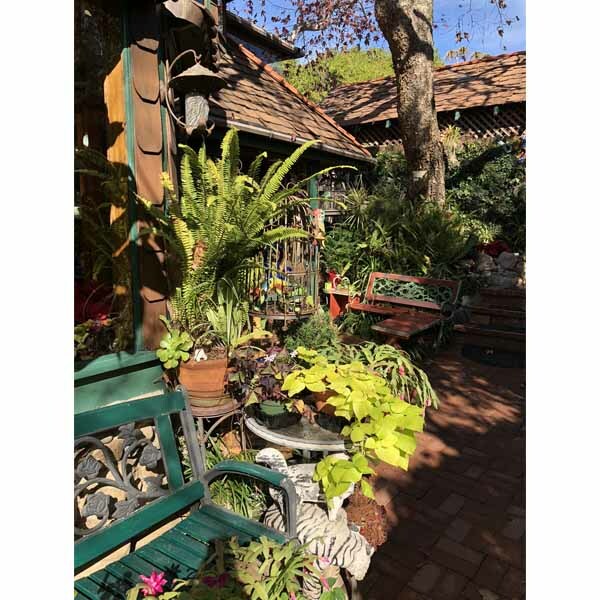 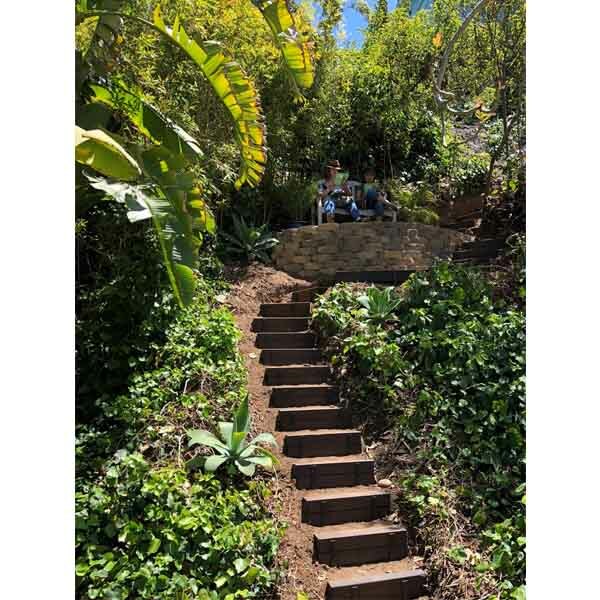 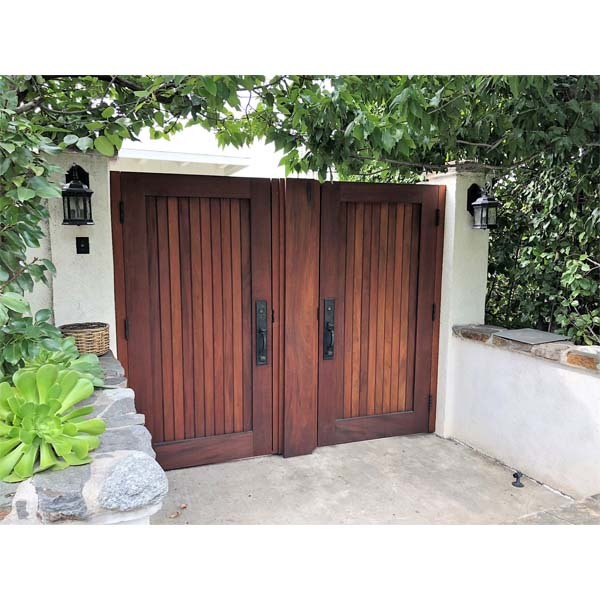 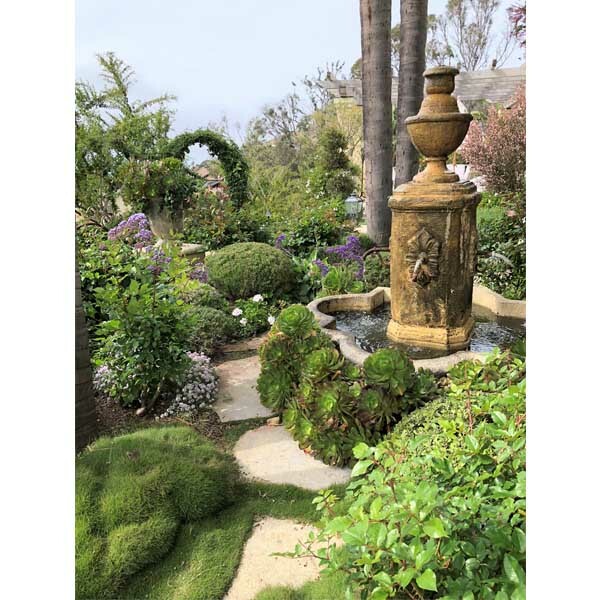 The Gate & Garden Tour on May 4, 2018 took place along the charming tree-lined streets of South Laguna — where nine fancy and fanciful private gardens graced a winding, three-quarter-mile walking route toward the ocean. 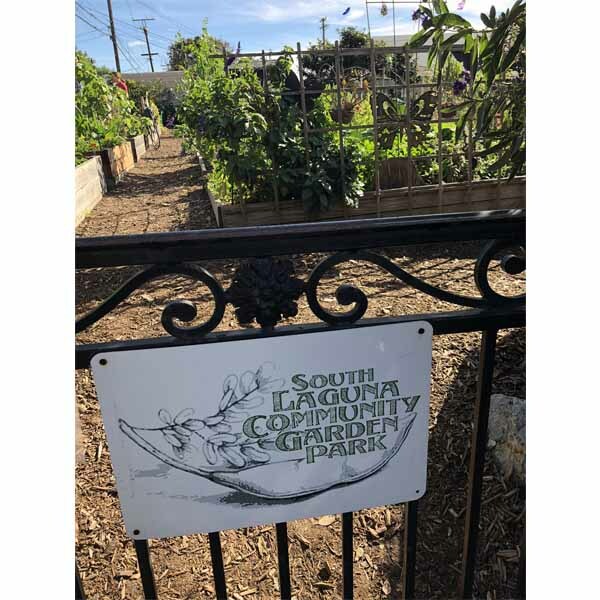 The final stop was the thriving South Laguna Community Park. 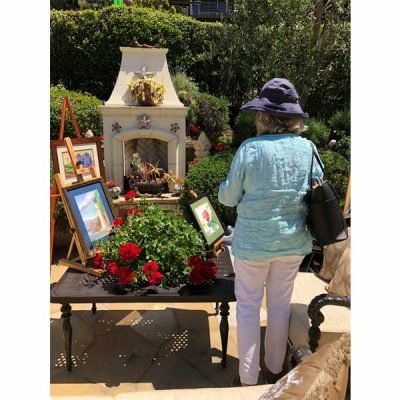 Since the 11 am – 4 pm event fell on the “Eve of Cinco de Mayo,” we celebrated with margaritas and Mexican food as well as free homemade cookies, complimentary refreshments and a raffle of prizes from local artists and businesses. 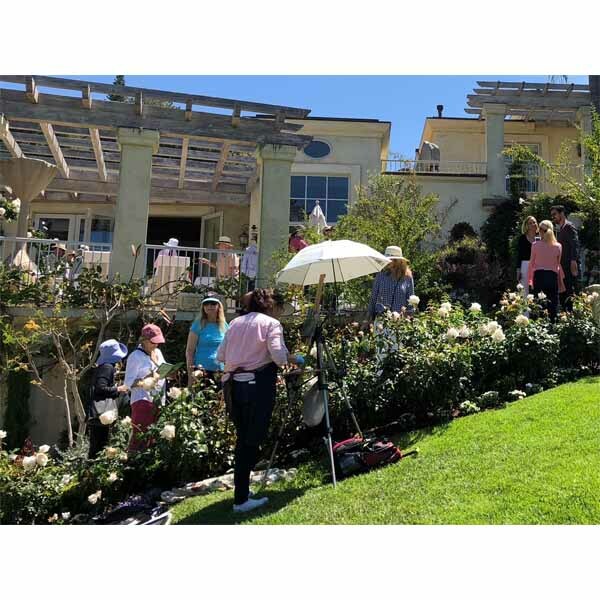 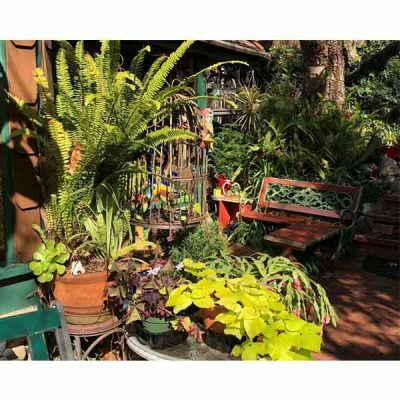 In addition, plein air artists painted in several gardens. 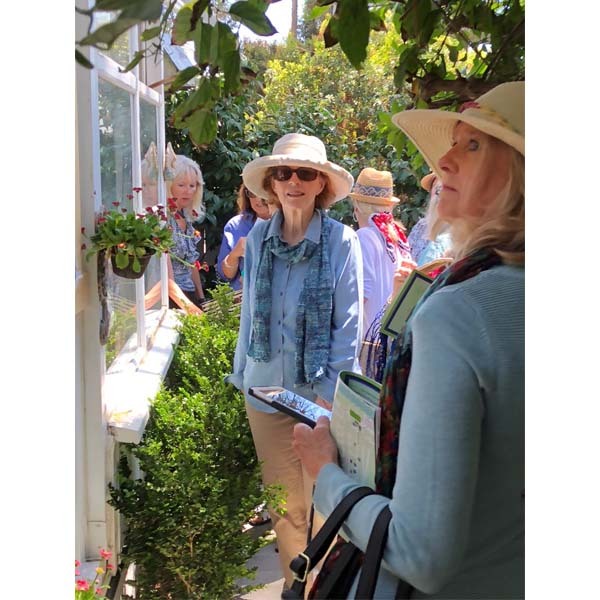 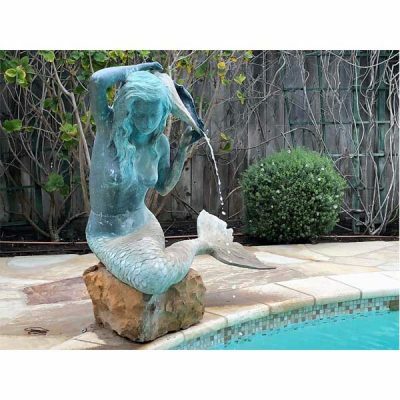 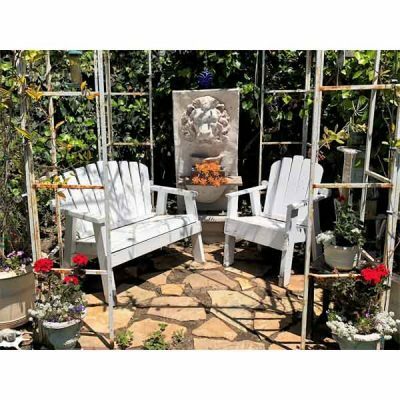 The Gate & Garden Tour is our major annual fundraiser. 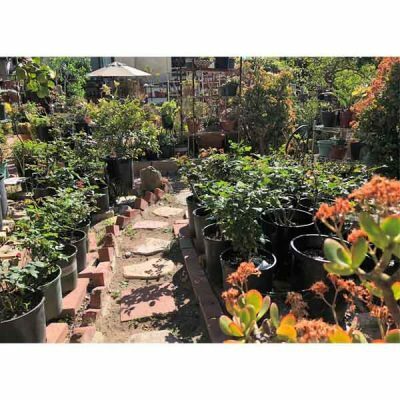 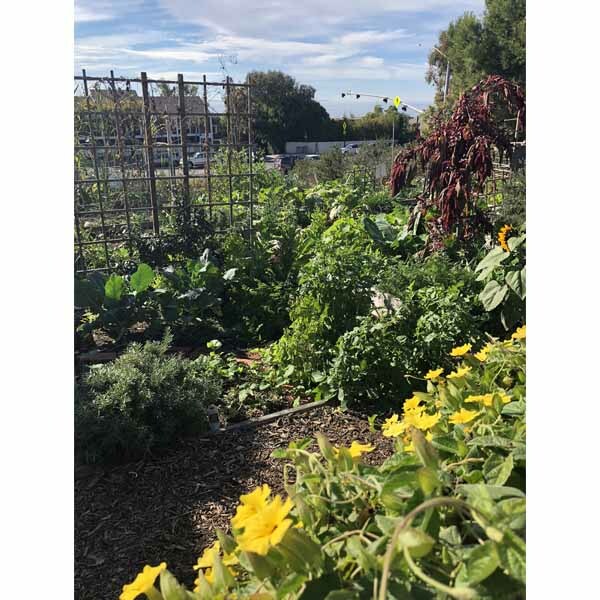 Proceeds help support educational gardens at local schools, scholarships for college students and graduating high school seniors, civic beautification projects and environmental initiatives. 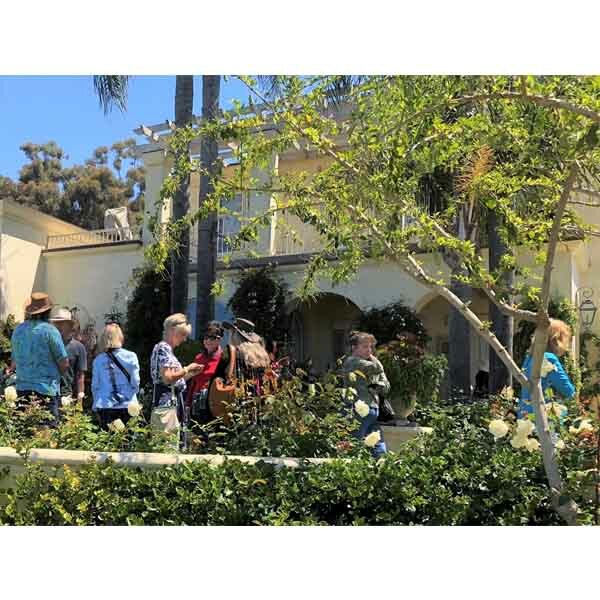 The self-guided tour started and ended at Arabella Laguna Historic Cottages, 506 N. Coast Hwy – our beautiful registration and reception area. 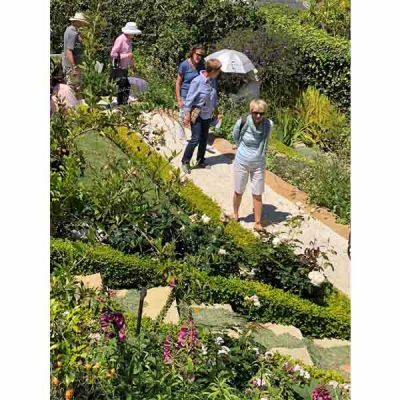 Shuttle buses took tourgoers from Arabella Laguna to the first garden and back at the end of the tour. Thanks to the efforts of some 80 volunteers from our club, the tour went very smoothly for hundreds of tourgoers who attended – and was a wonderful fundraising success.